Generally more reasonably priced than a traditional cake. Many people simply prefer to have a savoury end to their meal. 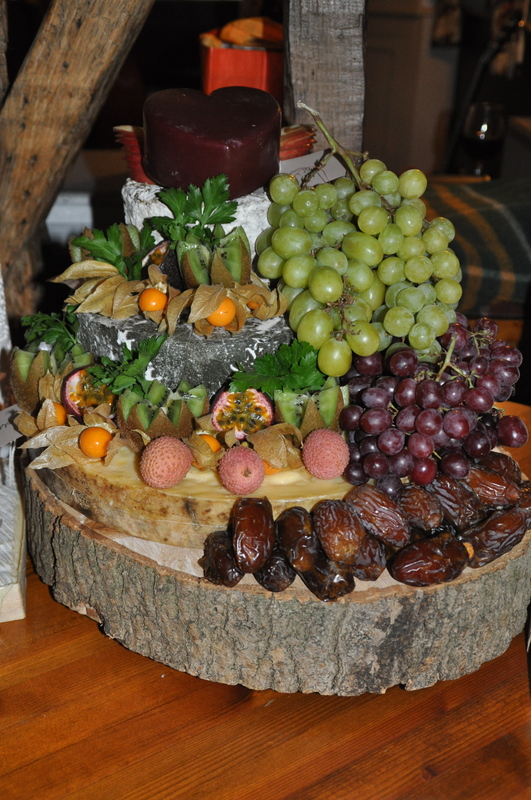 Why not have something memorable, visually impressive, special and different to remember your day by? We can supply themed cakes such as locally produced, cheeses from a specific county, region or country, traditional cheeses, by milk type or all soft/hard. We can theoretically build a cheese cake 20 tiers high but generally most cakes are 4-6 tiers. 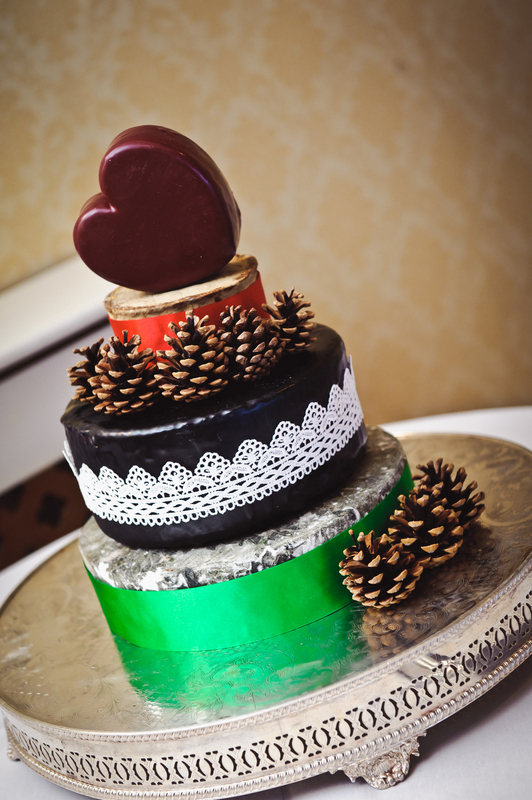 Our cakes are designed using farmhouse and artisan cheeses made the UK and Europe, selected by us for taste and quality. 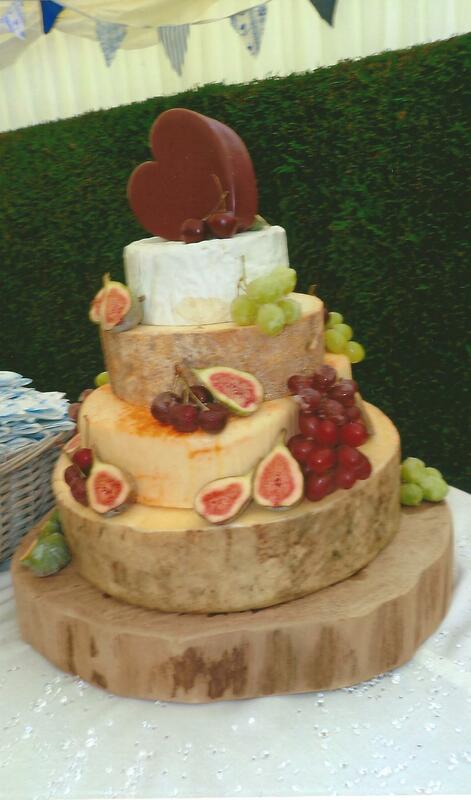 We have 80 years of experience helping people to cater and choose cheeses for various parties and functions. 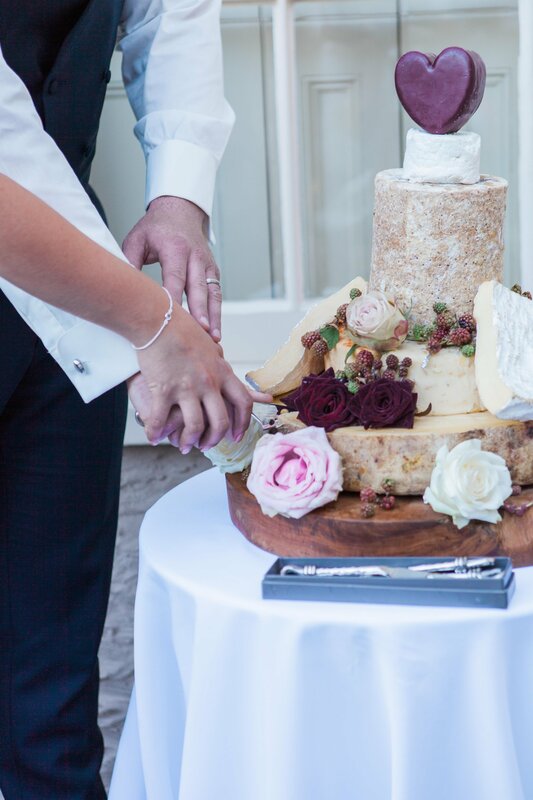 We can guide you to select cheeses that will work both as an sunning centre piece for your wedding table and together on taste. 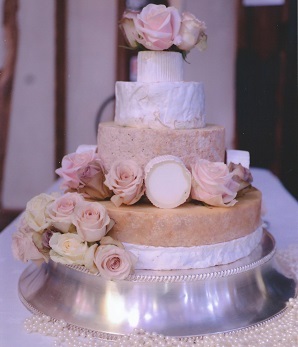 We can supply any of the cheeses which can be purchased on the site for use in a cake as well as any we stock in our shop. It is best due to the nature and importance of the purchase to call our cheese department on 01206 572200 and discuss your requirements. Please give plenty of notice to avoid disappointment. 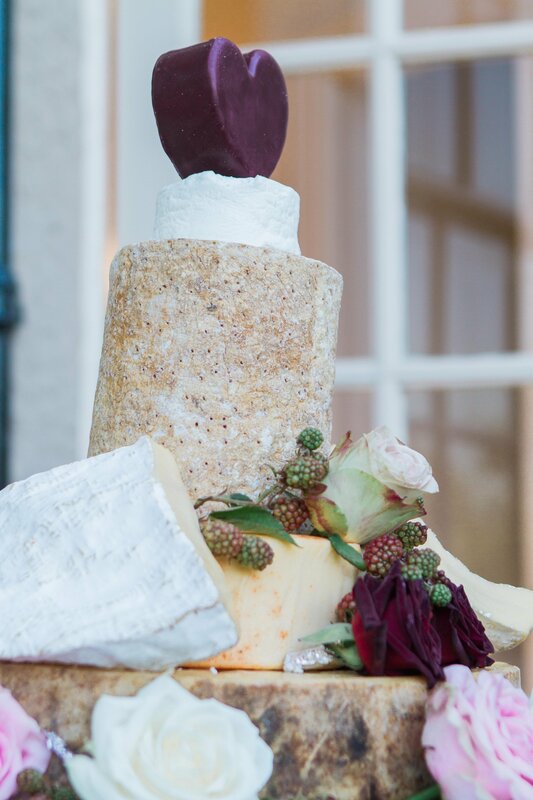 We only supply the cheese for your cake. Most previous clients have asked their florist to decorate the cake as they would a traditional one. 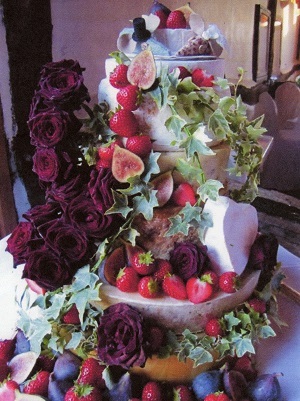 We can supply pictures of cakes to give you inspiration if required. 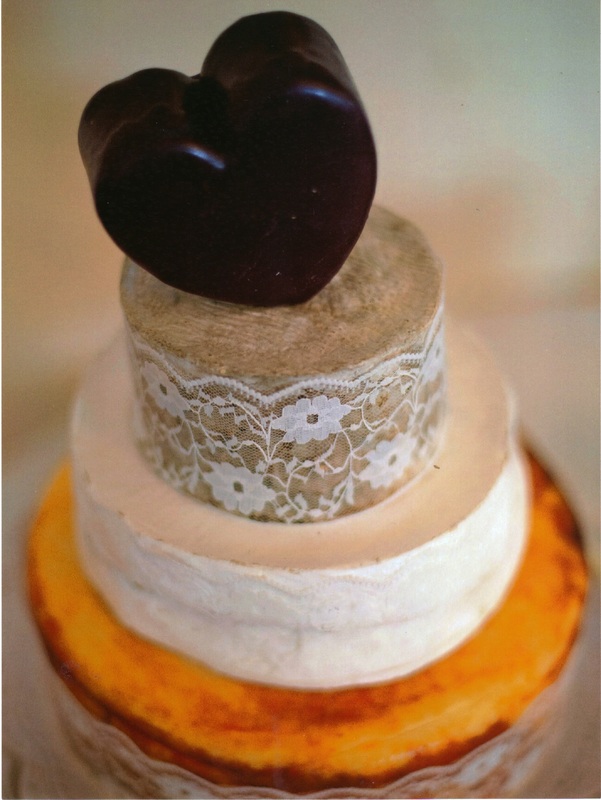 or a search of google images using `cheese wedding cakes` brings up hundreds of examples. Approximate sizes of various cheeses for guidance. Sizes are diameters. Not all necessarily available to order on this site. Some only available in store or by pre-order. Some cheese combinations and theme ideas that make good Wedding Cakes. All are listed bottom to top. All prices are approximate as cheese weights vary but should be within 10%. Prices are correct as of 1/1/2017.